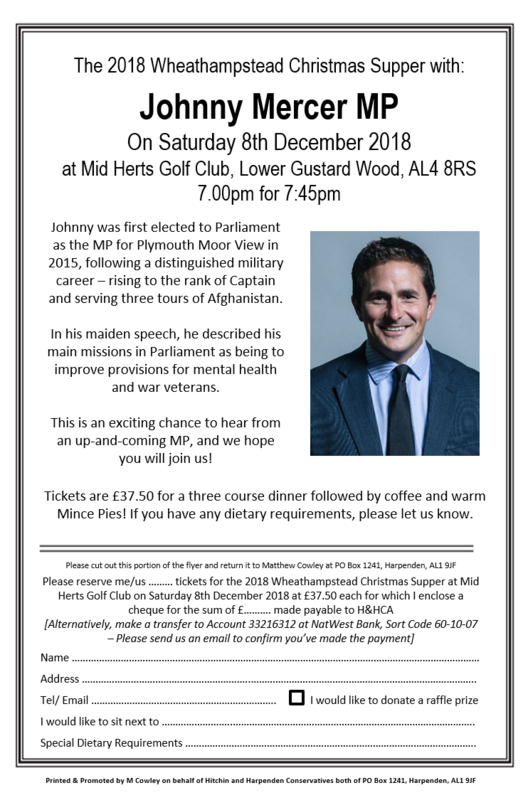 Johnny Mercer was first elected to Parliament as the MP for Plymouth Moor View in 2015, following a distinguished military career – rising to the rank of Captain and serving three tours of Afghanistan. In his maiden speech, he described his main missions in Parliament as being to improve provisions for mental health and war veterans. This is an exciting chance to hear from an up-and-coming MP, and we hope you will join us! Tickets are £37.50 for a three course dinner followed by coffee and warm Mince Pies! If you have any dietary requirements, please let us know. There will be a cash bar and raffle.